Just purchase your pack and you will then be contacted by our customer service team to help you get the best fit. Everything you need to compete in a powerlifting meet. Approved in all federations in the UK, Ireland and Internationally. Protein Depot's powerlifting pack provides you will all the necessary powerlifting equipment you need to compete in a powerlifting meet. SBD equipment is fully approved by the IPF (International Powerlifting Federation). 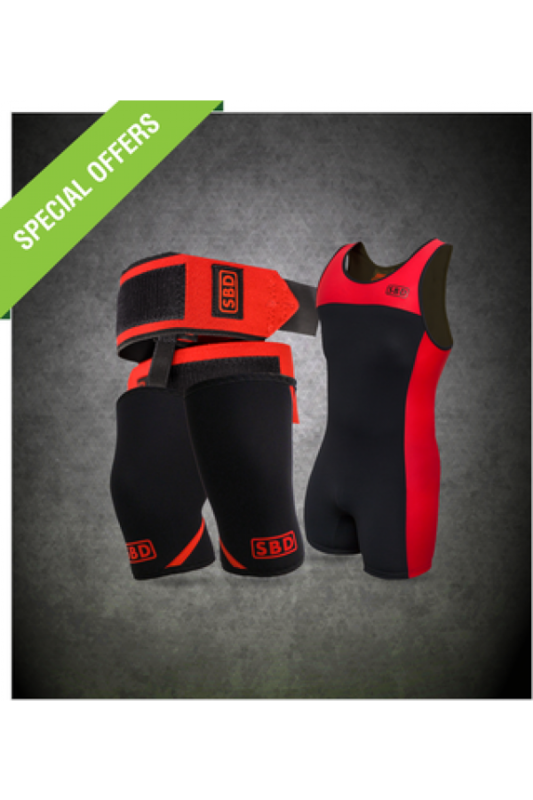 SBD is world renowned for its high quality equipment with a reputation for performance and longevity. Once you have completed your order a team member from Proteins Depot will contact you to go through sizes and ensure that you get the best fit.